Farahnaz Ispahani Among 100 Global Thinkers & 100 women who matter. Farahnaz Ispahani is a Global Fellow at the Woodrow Wilson International Center for Scholars, author of “Purifying The Land of the Pure; Pakistan’s Religious Minorities, Senior Fellow at Religious Freedom Institute. She is Foreign Policy Global Thinker. In 2015, she was a Reagan-Fascell Scholar at the National Endowment for Democracy, in Washington, DC. Ispahani was a Public Policy Scholar at the Woodrow Wilson Center from 2013-2014. A Pakistani politician, Ispahani served as a Member of Parliament and Media Advisor to the President of Pakistan from 2008-2012. "EWTN News Nightly – 2015.3.16," EWTN News Nightly, March 16, 2015. "Religion and the Liberal International Order," The German Marshall Fund, March 21, 2015. 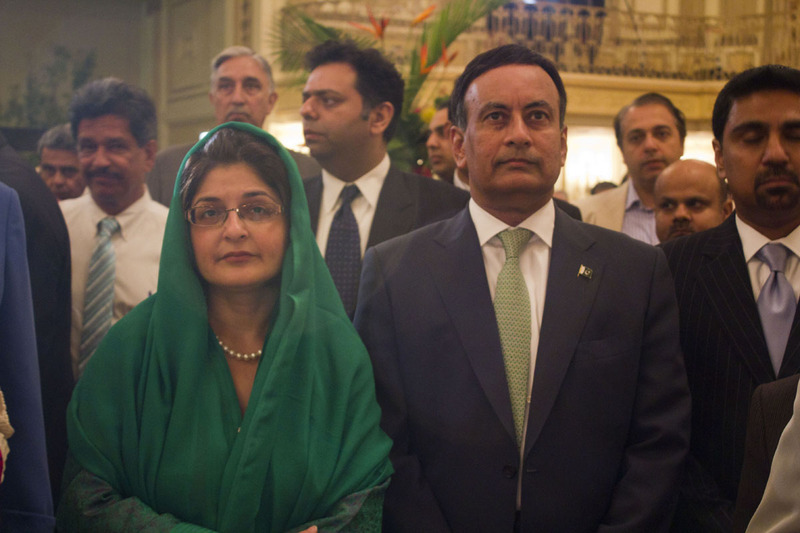 Andrew Harrod Reviews Farahnaz Ispahani’s New Insightful Book "Purifying the Land of the Pure; Pakistan Religious Minorities"
Farahnaz Ispahani interviewed on the Mimi Geerges show. Pakistan's Persecution of Religious Minorities. Farahnaz Ispahani Scholar at WIlson Center, Washington DC. Farahnaz Ispahani's Articles to "Daily Times"
Farahnaz ispahani's Articles to "The Hindu"